Fresh trees are much less likely to catch fire, according to the American Christmas Tree Association. 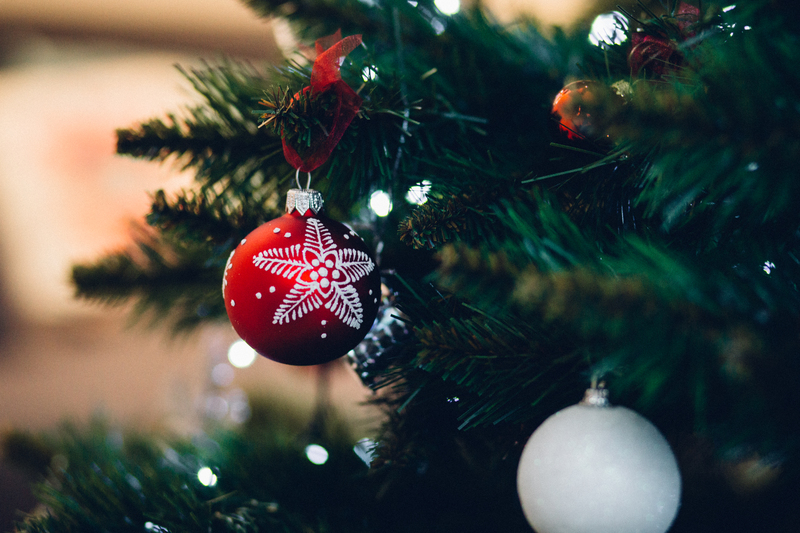 If purchasing a real Christmas tree, it’s essential to choose a tree with green needles, regardless of the type of tree. “Brownish needles mean the tree is really dry, which makes it more flammable,” said Christmas tree expert Pol Bishop. You can also tell a fresh tree from a dry one by handling the foliage. Signs of a fresh tree include soft and flexible needles that don’t easily fall off. Fresh pine needles will bend and not break, according to the Puget Sound Christmas Tree Association. Fir needles from a fresh tree should crisply snap if you fold them. Experts recommend continuing to test your tree’s needles for freshness throughout its duration in your home. Constant moisture is key, because a dried-out Christmas tree in a home is a recipe for disaster. In fact, a parched tree can burn faster than newspaper, according to the NFPA. Experts recommend keeping a real tree watered at all times to ensure that it remains consistently moist. “When you put it in the stand, make sure your stand has a large water reservoir,” Hundley said. A medium to large Christmas tree can drink up to a gallon of water a day, he added. Hundley noted that tree owners should keep the reservoir filled so that the tree’s stump never goes dry. “The tree will draw water for up to four [to] six weeks and get you well through the holiday season,” he said. Ensure that the tree is at least 3 feet way from any heat source, including fireplaces, radiators or heat vents, the NFPA recommends. Experts also recommend that lit candles never be used to decorate a tree. Give your real tree a good shake, experts suggested. If you find that a lot of needles fall to the ground, it’s a sign that the tree isn’t getting enough water, which poses a fire risk. Faulty lights can cause a tree to ignite, which is why It’s essential to check the lights you use to decorate the tree. The NFPA recommends using lights that are listed by a qualified testing laboratory and keeping in mind that some lights are only for indoor or outdoor use. “Take the time to make sure you’re buying high-quality lights,” Hundley said. Examine the lights and keep an eye out for any frayed wires, broken bulbs and any loose connections, he recommended. If you spot signs of damage or wear, the lights should be replaced. Experts also recommend preventing a short circuit by avoiding overloading extension cords and power sockets with Christmas tree light strands. Ensure that your lights are always turned off when you’re not around to keep an eye on them, experts suggested. “Regardless if you’re at work or even sleeping, never leave your Christmas lights out of your sight,” Bishop said. “Avoid the habit that some people have of leaving the tree up and forgetting about it,” Hundley said. “After Christmas Day, when the presents are gone and the season’s over, you forget about watering the tree and it becomes dry,” he added. In the deadly Christmas tree-related fire that occurred on Jan. 19, 2015, the family had intended to take their two trees down just one day after the blaze that ripped through their home. “According to the statistics we’ve seen, fires occur just as likely or more likely in January on Christmas trees, and that’s because people are leaving them up too long,” Hundley said.